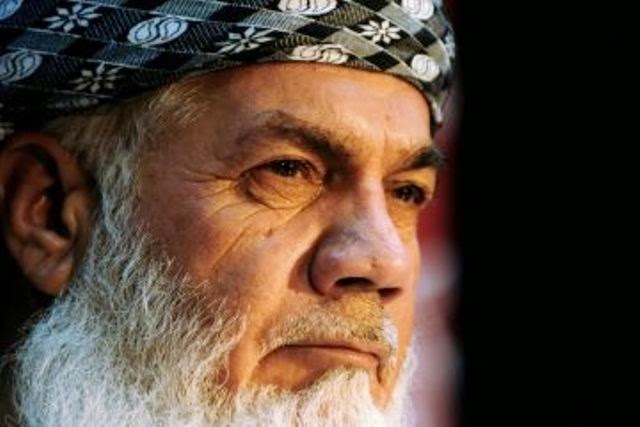 Ismail Khan, ex-minister of water and energy and a well-known Jihadi leader has expressed concern over the new insurgent groups coming to Afghanistan. He says in coming two months the security situation of Afghanistan will worsen and a new war will begin. He asked Afghan nation, specially Ex-Mujahideen and local elders to unite against the threats Afghanistan is facing from the insurgents. Ismail Khan’s concern over security comes after reports published indicate the formation of new militant groups in parts of the country. Security officials of Zabul and Helmand provinces have so far confirmed the movement of new militant groups in their provinces. Recently a senior official in Farah province even reported the establishment of a training camp by Islamic States (IS) supporters. Abdul Khaliq Noorzai, district administrative chief of Khak-e-Safid says a group of 80 insurgents who carry the flag of IS has established a training camp in his district. He says the group is busy training insurgents in his district. In Afghanistan’s neighboring Pakistan, IS supporters have released a video announcing their allegiance with the group.